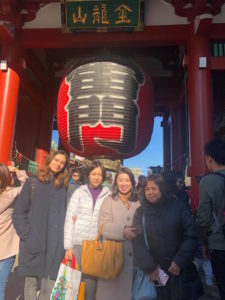 The last event of December 2018 was a tour of Hagoita-ichi in Asakusa. Hagoita(羽子板・はごいた) is a wooden raquet to play Hanetsuki(羽根つき). 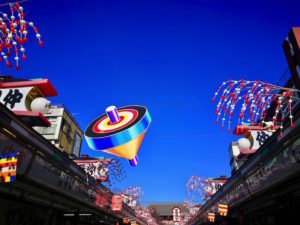 Hanetsuki is a traditional old style Japanese game like badminton of hitting a Hane (shuttlecock). 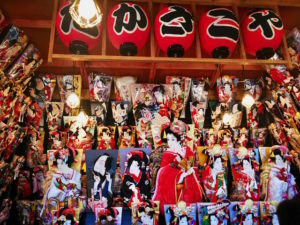 Nowadays, we see traditionally decorated Hagoitas at Hagoitaichi in Asakusa. 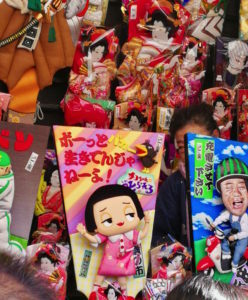 It was a beautiful day and the Nakamise Street was already prepared for New Years. I hope everybody will have a wonderful New Years! Fun local events for everyone from around the world. From Japanese cuisine cooking classes to local cultural events, Global Space Net organizes a variety of events for anyone interested in learning more about Japan and its culture.